According to the Telegraph, Jose Mourinho is ready to sell Eric Bailly and Marcos Rojo to make room for a new centre-back in January as the Manchester United manager tries to turn around their season. United currently sit eighth in the Premier League table after one of their worst starts to a season and slumped 12 points adrift of league leaders Manchester City following a sobering 3-1 defeat at the Etihad Stadium on Sunday afternoon. Mourinho has publicly voiced his frustration at the clubs lack of transfer activity in the summer when they failed to sign any of his centre-back targets but it looks like the Portuguese coach is hoping to finally reinforce his defensive options this winter. The Telegraph are reporting that Manchester United are ready to sell Bailly and Rojo in order to make room for a new central defender in January as Mourinho kick-starts his mid-season transfer plans. Rojo is yet to feature for United this campaign having struggled to regain full fitness from a knee injury that he sustained at the World Cup back in the summer. The Argentinean international aggravated the issue while playing for the U23’s last month and has struggled to force his way in to Mourinho’s plans so it makes sense that his future lies away from Old Trafford. Bailly has also been frozen out by Mourinho this season. The 24-year-old started the first two games but was dropped after the horror show defeat at Brighton in mid-August. He was back in the starting eleven a month later but was substituted after just 19 minutes with United losing 2-0 to Newcastle United and hasn’t featured since. It seems Mourinho is ready to cut his loses with the Ivory Coast international but I think this would be a huge mistake. There is no doubt Bailly’s form has been worrying during his fleeting appearances this season but he’s still got a huge amount of potential. 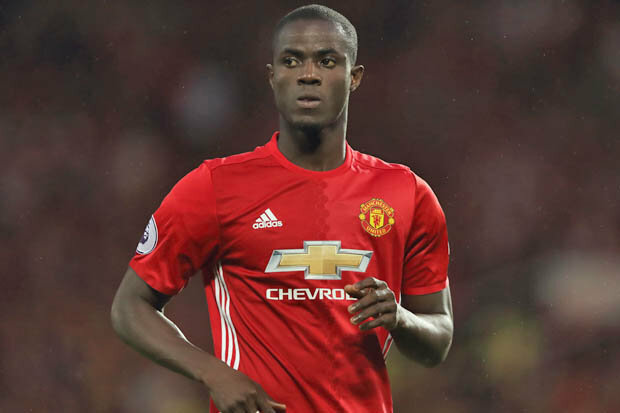 Bailly was hailed as one of the best young defenders in Europe after enjoying an excellent debut season at Old Trafford following his move from Villarreal in 2016 and it looked like he’d go from strengthen to strengthen. However, a series of niggling injuries derailed his progress and I think a lack of confidence is having a detrimental affect on his performances this season because Bailly is capable of playing a lot better than we’ve seen from him so far this campaign. Chris Smalling and Victor Lindelof have become Mourinho’s favoured central defensive partnership but with them United have conceded a record 21 goals in their 12 league games so far this season so there is no reason for Bailly to have been frozen out like he has. Mourinho and his coaching staff should be looking at how to get Bailly confident again and back playing to his full potential as he could be a superb central defender. Instead, it looks like the United boss is ready to sell and I personally think they’ll live to regret it.